The birth of Crem International began way back in and around 1968 in Charlottenburg Sweden. Alvar Carlson was a born inventor and very persistent, and he loved to experiment with stainless steel. He spent a lot of time designing dishwashers and manufacturing sink units, while he drank coffee. One day, he invented his own coffee machine. Alvar’s company, EDEA was born! 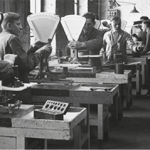 He and his small army of workers became known for quality coffee machines. One of his employees was Stig Mansson, who took over the company in 1981. Two years later, along came Georg Moller, who introduced the first Coffee Queen in Stockholm and a merger with EDEA was struck and in 1986, Georg Moller bought EDEA. It only took a few years for the staff to increase from 5 to 65 because Georg was determined and development was fast tracking. Coffee Queen was registered in Sweden as a trademark in 1999. The factory moved from Charlottenburg to Arvika in 2003. A subsidiary company of Coffee Queen called Coffee Queen Norge AS took place in 2005. Coffee Queen entered the Asian market and established Coffee Queen Beverage Machinery Shanghai, China, in 2006. Coffee Queen opened for business in 2007 in Germany, by purchasing a company called Pressomat and Coffee Queen Pressman GmbH was born. After Accent Equity acquired 51% of Coffee Queen AB in 2007, Coffee Queen acquired Spanish Crem in 2008 and Crem International was established. Today we have “food and drink solutions” by …CREM INTERNATIONAL. Crem International today is a company with a great inventory of coffee and espresso machines. 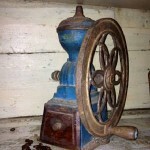 They focus on growth and lead the world as manufacturers of coffee and espresso machines. Crem International has two familiar and very strong brands – Coffee Queen and Expobar. Under the brand Coffee Queen, freshly brewed and instant coffee, and water and juice, are their focus. 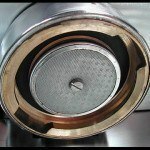 The brand Expobar offer top-quality espresso machines. Cream International is unique! The COFFEE QUEEN brand has machines for freshly brewed coffee, automatic espresso, instant and juice for hotels, restaurants, cafés, offices and public places. The EXPOBAR brand offers machines for manual espresso coffee, ranging from premium barista models to good value basic models. In fact, we have reviewed the Expobar Office Control Espresso Machine, which you can read here to get more information. The people at Crem International never rest! Recently, they attended the “Host” conference in Milan, on 2015-10-30, where they showcased their exciting new range of Spengler machines, targeted at the office coffee crowd, and also their new Cqube EVO machine will make its appearance on the world’s stage soon. Watch out for it! Their calendar for sharing their quality products is full. They will be in China in March/April 2016 as well as Singapore and Stockholm Sweden at the end of that month. The Coffee Queen brand will feature machines such as the Prezzo, the automatic Espresso, as well as coffee grinders and juice dispensers. The Exposer brand comes with Megacrem, New Elegance, lots of accessories. Cream International is always in the Press as well! Crem believes that new partnerships develop new innovative, industry leading and appealing food and drink solutions that will satisfy every customer. Quality, Innovation and Design are their three pillars and now the Spengler connection, will bring along the vending market. Queen and Exposer are moving into the Netherlands, Denmark and Germany and their fans are watching the growth with interest! Their technical departments and commercial teams are expanding and bringing with them new and valuable innovations into the market. Crem International understands entrepreneurial thinking and more success is just waiting for them.